Water features, such as outdoor ponds, waterfalls, and fountains, can make great additions to your backyard and swimming pool area. If you’re considering adding a water feature to your swimming pool or to its surrounding area, hire an experience pool contractor who specializes in pool installation, hot tub installation, and pool maintenance neat Salt Lake City. Here’s a closer look at some popular water features to consider for your pool. Waterfalls in nature are sights to behold, so it’s no surprise that some homeowners want to recreate these striking beauties on their properties. Waterfalls are perfect focal features when combined with pools, especially when used in design schemes that use grotto spaces hidden by walls of water. Natural rock waterfalls mimic the kinds of waterfalls you’d find if you were hiking around in the wilderness, which makes them popular in pool designs. The calming sounds of streaming water cascading down and splashing over rocks can really add interest to any swimming pool, and can help to create the feel of a backyard oasis or a luxury spa. Sheer waterfalls and water walls look like modern, minimalist waterfalls. They evoke the same sensory experience that natural waterfalls do, and can be used to great effect in sophisticated, clean, and modern designs. 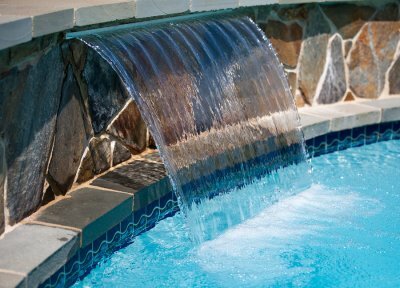 Consult with your local pool contractor and designer to learn more about your options regarding sheer waterfalls and water walls. Swimming pool fountains come in a variety of types, from simple spouts to elaborate displays. Fountains complement pools very well, and they can add a lot of elegance to your pool or even a bit of whimsy. Bubbling water fountains add surface movement and pleasant sounds of splashing water. Spillover hot tubs and spas make beautiful and dramatic connections to swimming pools by spilling water from one area down into another one, and possibly even down to another. With this option, you can create a series of shallow waterfalls that are visually spectacular. If you’re considering a new swimming pool and hot tub installation in Salt Lake City , you and your family should become familiar with basic pool safety tips. This is particularly important for those who don’t have a lot of experience with in-ground pools or indoor swimming pools. 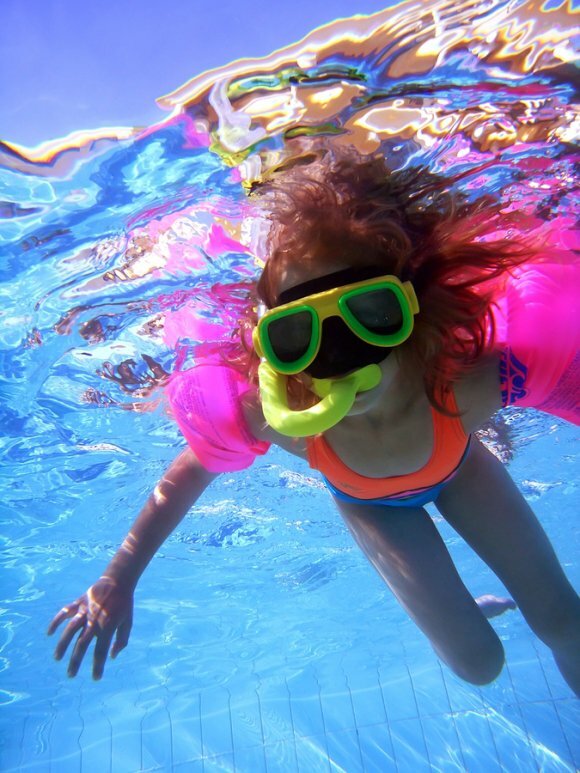 If you have young children or if members of your family aren’t strong swimmers, you should sit down and discuss pool safety before beginning your swimming pool installation. If you have young children, your pool and hot tub should be surrounded with a high fence that is locked whenever the pool is not in use. You should also consider installing a swimming pool and hot tub cover to prevent accidents. Children should not use the pool or hot tub without careful adult supervision. Your family should refrain from running, fighting, or roughhousing in or around the pool. You should also be familiar with what to do in the event an accident does occur. No one should use the pool unless it is in the presence of someone who knows CPR and who is strong and capable enough to pull an injured or unconscious person out of the swimming pool. Swimming pool financing can help you design, build, and install your dream in-ground pool in Salt Lake City . If you’re interested in swimming pool installation, but aren’t sure if you can afford it, you should talk to a swimming pool company about their financing options. Here is some information that you should know about swimming pool financing. If you’re building a new home that doesn’t have a swimming pool, you can easily incorporate the cost of swimming pool installation into the overall price of the home. Some home contractors or builders have a list of swimming pool builders that they have a relationship with and prefer to work with during home construction. This can be helpful, because your homebuilder will work closely with your swimming pool builder and contractor to ensure that the work is done properly. When you finance a swimming pool installation through new home construction, the cost is simply included in your home mortgage payments. You can also finance pool installation at your existing house. If your swimming pool company doesn’t offer financing options, you can look into refinancing your mortgage, or taking out a second mortgage. You can also talk to your bank or credit union about taking out a home improvement loan. A swimming pool installation can increase the resale value of your home if you choose to sell in the future, and that might qualify you for a decent private loan. After your pool installation is complete, you can have your home reappraised. Another option is upgrading a current swimming pool so that it is safer, more attractive, and more comfortable. Many swimming pool builders have experience renovating existing in-ground swimming pools. You can consider a bank loan, home improvement loan, or refinancing your mortgage in order to cover the cost of a pool renovation. You should be sure to choose a lender that is familiar with swimming pool installations and renovations. If you’re looking for a swimming pool builder in Salt Lake City for your new pool installation , you should choose wisely. You must hire a swimming pool builder and pool contractor who are licensed, insured, and experienced in all areas of swimming pool design and building. If you hire an unlicensed or uninsured swimming pool builder, you are putting your health, safety, and finances at risk. Watch this video for some great tips for choosing a reputable swimming pool builder. Before hiring a swimming pool company, you should verify their qualifications, experience, licenses, and insurance information.